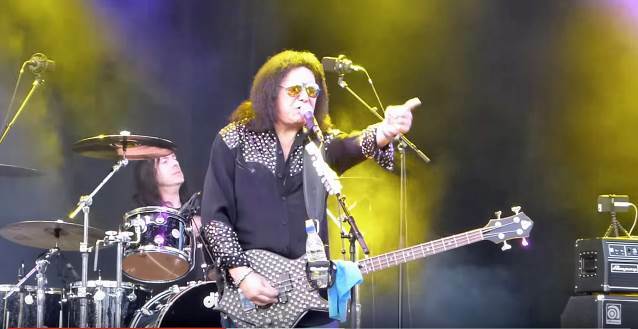 Fan-filmed video footage of Gene Simmons's June 2 performance at the Gröna Lund amusement park in Stockholm, Sweden can be seen below. Photos are available at this location. One of Gröna Lund's most legendary concerts was when KISS visited Stora Scen 1976. Now, 42 years later, fans got the chance to welcome one of the world's most famous rockers back at Gröna Lund's Stora Scen. The GENE SIMMONS BAND — which recently celebrated its first anniversary — consists of guitarist/bassist Jeremy Asbrock, guitarist Ryan Cook, guitarist Phil Shouse, and drummer Brent Fitz, most of whom perform regularly as the Nashville-based THEE ROCK N' ROLL RESIDENCY. Simmons stated about his solo shows: "Doing these smaller concert halls, which hold a thousand to three thousand people, means they get filled up by real diehard fans. They don't want to hear the 'same old, same old.' They want to hear nuggets, as they say. It's a hoot for me because I've never really had a chance to do this stuff live. It's been a lot of fun." Gene told the Chicago Sun-Times: "By the end, I get the chance to bring as many people from the audience as we can fit on the stage to sing with me." 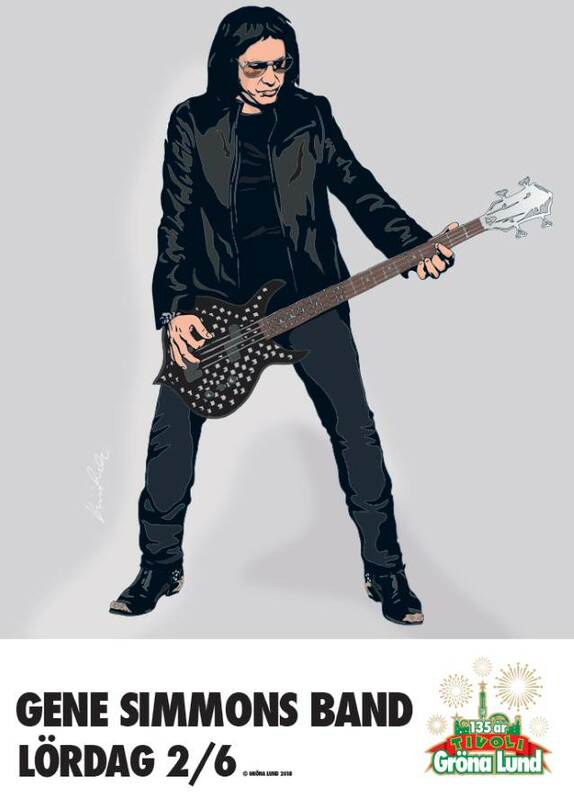 Regarding how the idea for a solo tour came about, Simmons told Australia's Advertiser: "The GENE SIMMONS BAND was not a plan or anything. "So I put together a band from Nashville — these guys back up Kid Rock and lots of other people — and without a single rehearsal, I just told them which songs I wanted to do and they learned them. "It just sounded natural — there is such a thing called chemistry. They don't teach that anywhere — I mean, they do teach 'chemistry' but not the kind I'm talking about. "It felt right and as soon as the videos went on YouTube and such, people were calling. This little GENE SIMMONS BAND never tried to be KISS… It was just a little bit of fun and stuff. Now all of a sudden, we're headlining festivals in the Czech Republic, Canada, Germany… It's crazy."